Keep the soil in good condition. Add garden compost or well-rotted manure to maintain soil structure and retain moisture and nutrients. 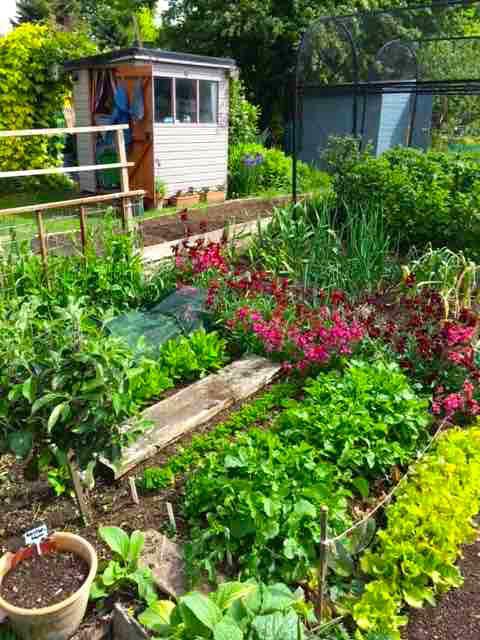 Sow fast-growing green manure such as crimson clover, buckwheat and phacellia where there are areas of bare soil or where summer or autumn vegetables are to be planted out. Dug in before July they will fix nitrogen in the soil and improve soil structure. Plant comfrey. The leaves can be used as a compost activator or for making an excellent liquid feed. Keep adding to the compost heap, making sure to mix ‘greens’ (lawn cuttings, kitchen vegetable waste) with ‘browns’ (ripped cardboard, straw etc) and added layers of uncomposted stable manure. Apply greenhouse shading to limit temperatures to 27c (81f) and ventilate on warmer days. Watch night time temperatures and cover vulnerable plants with fleece or cloches if necessary. Net cherry trees against birds as cherries begin to form. Sow salad crops including radishes, spring onions, spinach and beetroot successionally for continuous cropping. Sow herbs such as basil, coriander, dill and parsley. Early in the month sow cucumbers and courgettes pots indoors for planting out later. 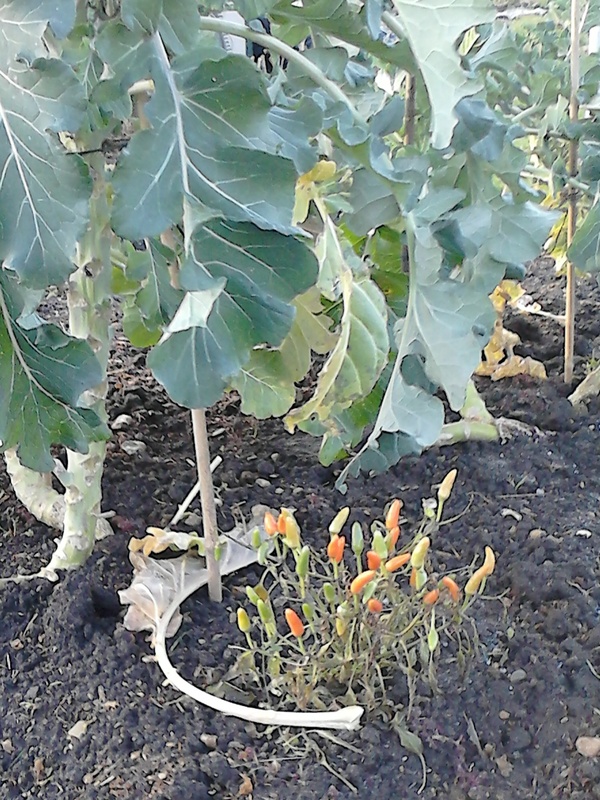 Sow cauliflowers, sprouting broccoli, Brussels sprouts and leeks for harvesting next winter. Sow sweetcorn, French and runner beans direct into the soil. Sow carrots in finely raked soil. Use insect mesh to protect from carrot fly, securing well by pushing edges in to the soil, or sow in containers higher than 2 feet to lessen risk of carrot fly attack. Sow pumpkins, squashes and outdoor cucumbers under cover now or outdoors towards the end of the month. Watch for cold nights. Make late sowings of peas by the end of the month. Prepare a fine seed bed and sow flowering annuals to attract pollinating insects. Support broad beans and with stakes and tie in with strings. Watch out for blackfly on broad beans and rub off or wash off with squirted water. Pinch off the tips with blackfly above the flowers as soon as the first beans start to form and bury in the compost heap. Earth up potatoes when shoots are approx. 9 inches to prevent green tubers, pulling the earth up with a rake to form peaked rows. Remove any cold-damaged foliage. Watch out for early summer dryness. Recently planted trees, shrubs and fruit need regular watering for the first two growing seasons. Remove raspberry suckers encroaching onto paths or between rows. Check gooseberries and redcurrants for sawfly larvae and remove manually. Plant out tomatoes towards the end of the month watching out for drops in night time temperatures below 12 degrees c.
Start to remove side shoots from leaf axils of cordon tomatoes. Plant out Brussels sprouts, celeriac and leeks for autumn and winter harvesting. Hang pheromone traps in apple trees to reduce codling moth caterpillar attack. Start hardening off tender plants for planting out at the end of the month. Place straw under strawberries to keep fruit clean and deter slug damage. Feed with tomato fertiliser every week. Harvest up to half stems of established rhubarb when the stalk reaches 9-12 in. Pull (do not cut) stalks, taking no more than half at any one time. Start harvesting established asparagus spears when 5-7” tall. Harvest early crops of radishes and salad leaves as they appear. When plant buying choose single flowers as better sources of pollinating insect food than double blooms. Top up bird feeders to help birds feed their young. Avoid peanuts now as these can choke chicks. Froglets and efts (baby newts) will be leaving ponds by now so make sure there is a slope for them to climb up. Make sure there is plant coverage on surrounding flagstones or they will fry on these. Categories: PlotJobsByMonth | Tags: Blackfly, Rhubarb, SowingSeeds | Permalink. Categories: 2017Bulletins, Bulletins | Tags: Recipes, Rhubarb | Permalink. 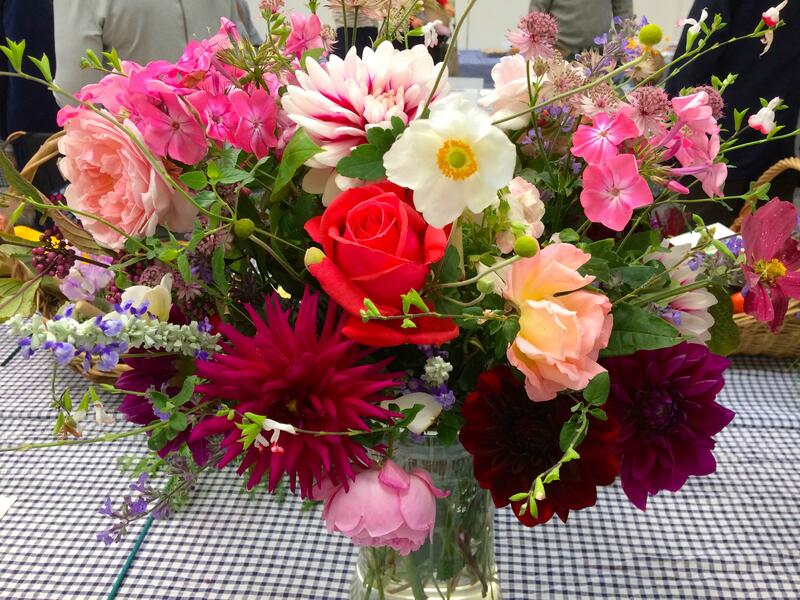 Plan for midsummer planting – it’s not too late for beetroot, sprouting broccoli, florence fennel, lettuce, carrots, and some varieties of squash. 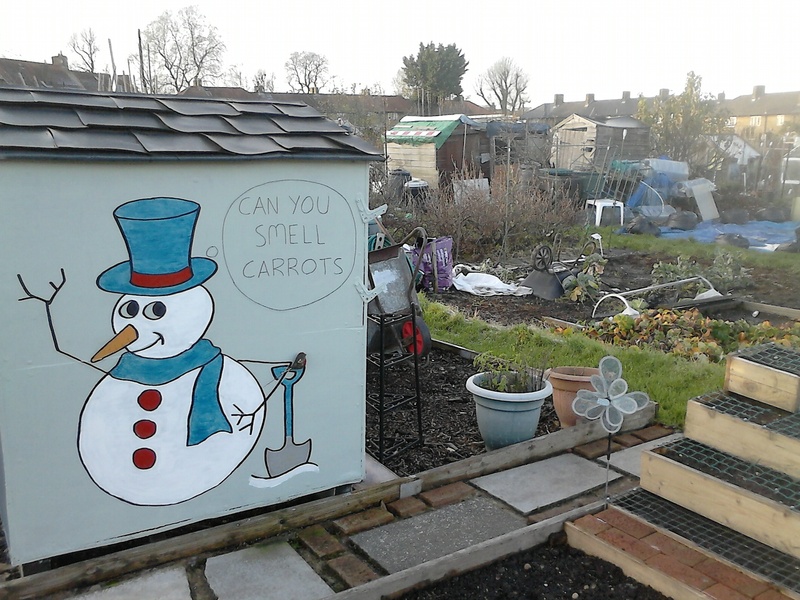 And find out about what was judged to be the best allotment site in Wandsworth…. Plus all the information for the June 24th Summer show. Categories: 2017Bulletins, Bulletins | Tags: Recipes, Rhubarb, Seeds, Slugs | Permalink.